TRA studio was asked to find a suitable flagship location for Artemide, as well as to develop the interior design concept for the lighting showroom. 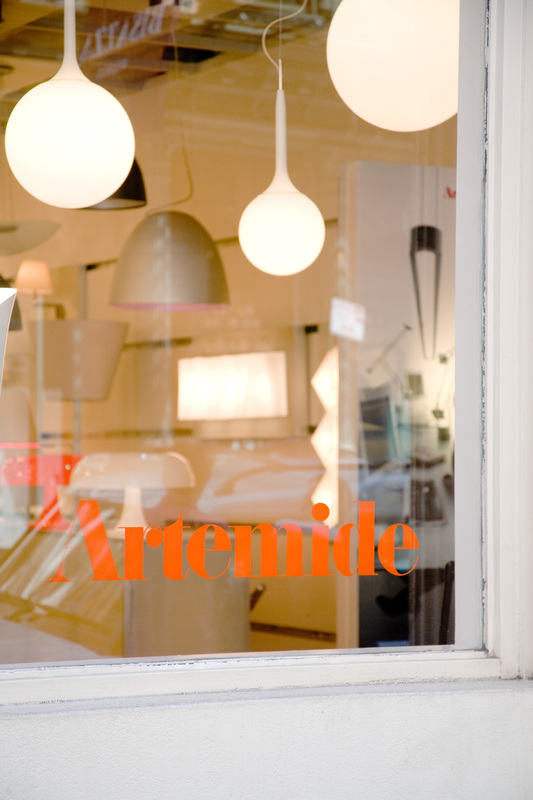 At the time, Artemide was the first lighting showroom to find its home in the then industrial area. Its presence started the rebirth of the area as the Downtown Design Center. 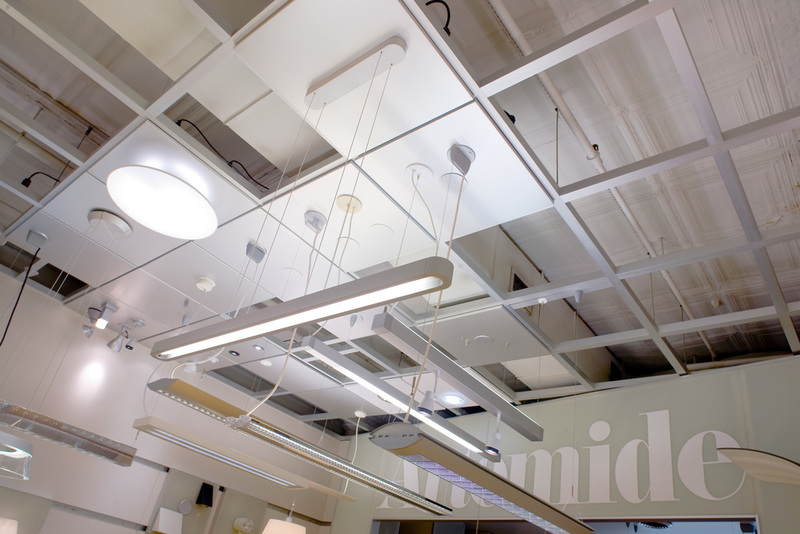 Artemide lighting asked us to display the light fixtures in a way that the display of the fixtures all together became a single light fixture. The materials of the showroom walls and the displays defined the interior design. The materials were inclusively monochromatic and architectural. The fiberglass panel that was chosen for the showroom walls and the furniture was not widely used for interiors at that time. 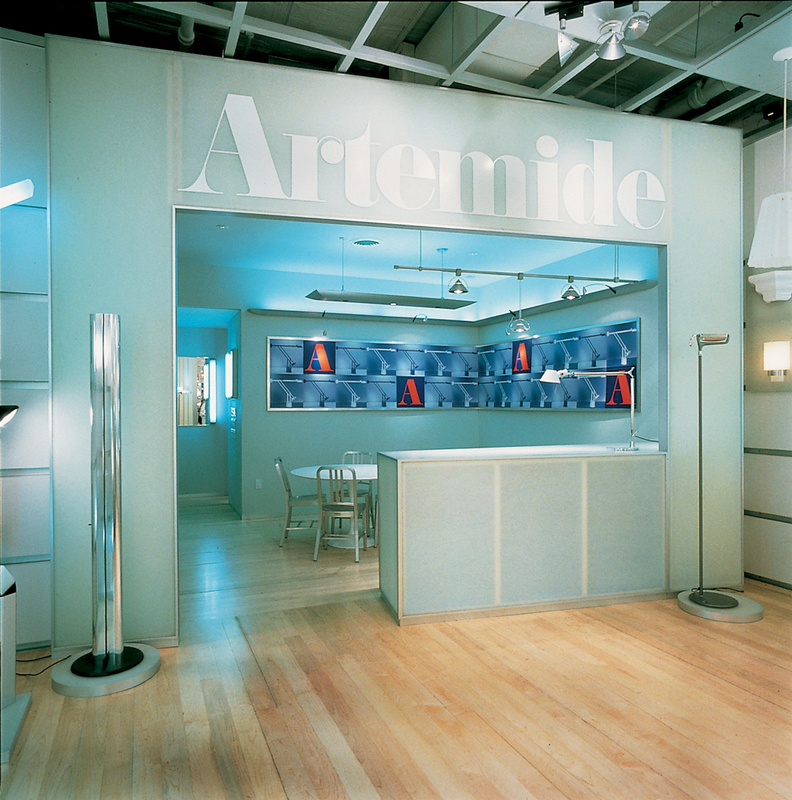 Until we unveiled the fiberglass at the Artemide showroom, not many designers were interested in it. 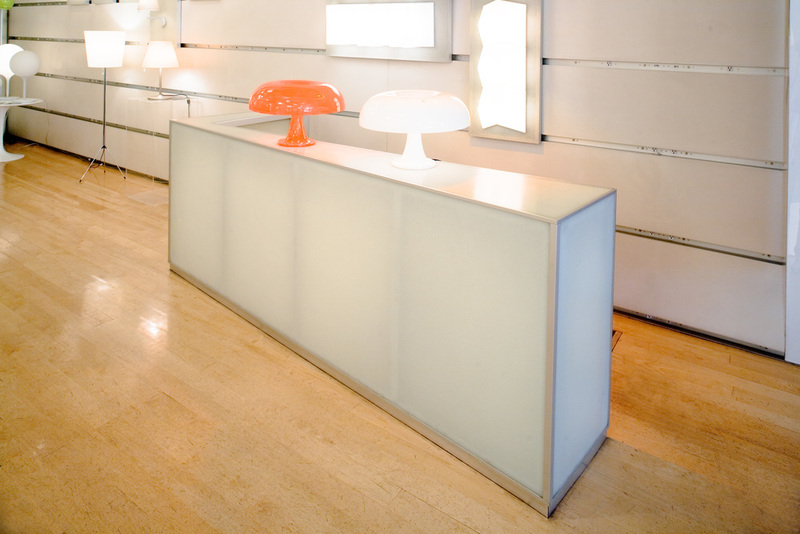 If there was one mentionable moment in the experience of designing and completing the showroom, it was that TRA Studio rediscovered fiberglass for use in interiors that caught on and became the hot material to use for new interiors and furniture. The walls were made of color core plastic laminate. 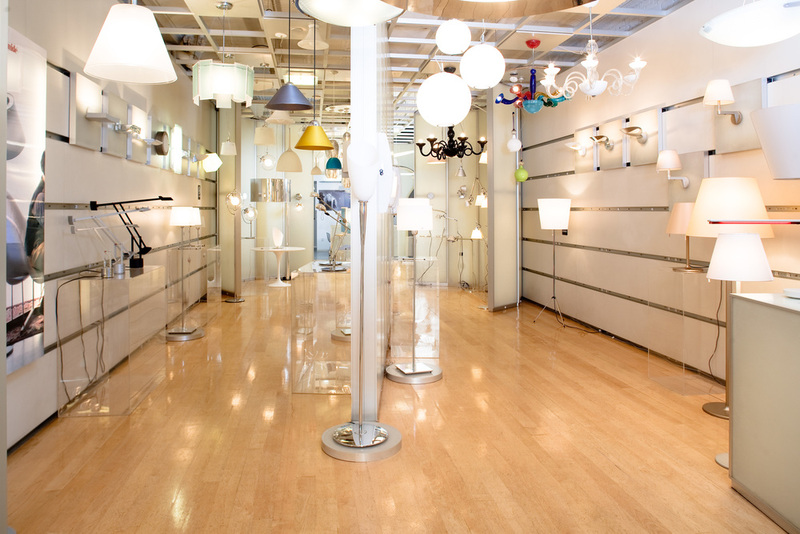 The display fixtures and furniture were fabricated of clear anodized aluminum with translucent fiberglass to reflect the light and highlight the individual fixture that was displayed on them as objects. 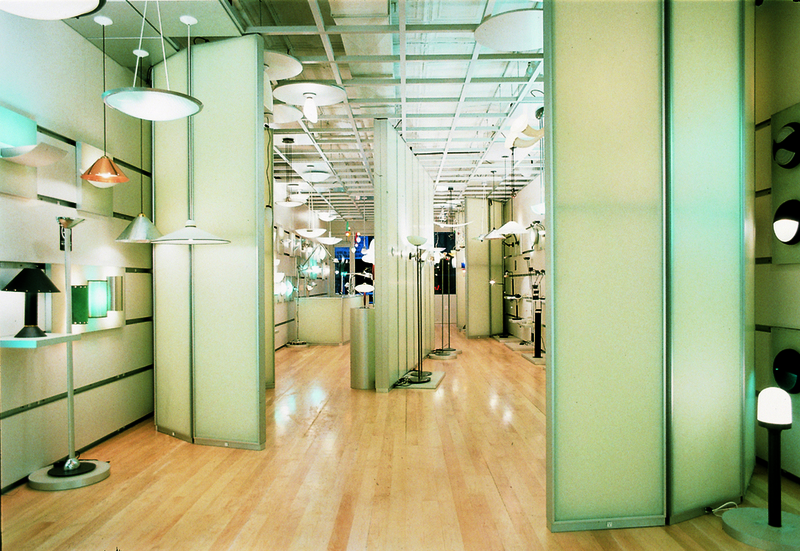 The showroom is still open today with the same fixtures and materials that were fabricated for the opening in 1994, merchandising being the instrument used to routinely change the showroom feeling.